The Cantal is one of the original 83 departments created during the French Revolution on 4 March 1790 and is named after the Cantal mountain range, a group of extinct, eroded volcanic peaks, which covers much of the department. The highest point in Cantal is Le Plomb du Cantal at 1858 metres. Cantal is one of the most sparsely populated and geographically isolated French departments. Aurillac is the major town and is the farthest removed departmental capital from a major motorway. The spa town of Chaudes Aigues boasts of being the southernmost of the spas of Auvergne and at 82 ° C, is the hottest spring in Europe. Click on the Bien Etre page for more information. Situated in the Parc Regional des Volcans d'Auvergne, the Cantal is a department with little urbanisation so is particularly attractive to tourists. The most visited places are Puy Mary (1787 m) where people can enjoy one of the prettiest panoramas in Europe, the Plomb du Cantal (1855 m), the village of Salers, and the gorges of the Truyère (with the Garabit viaduct, the castle of Alleuze, and the towns of Boisset, Pierrefort). The Parc Naturel des Volcans d'Auvergne features a number of inactive volcanoes. The department counts several remarkable buildings, among them, the Romanesque churches of Cheylade (eleventh century). Some churches are in the Gothic style like the Cathedral of St Pierre de Saint-Flour (fifteenth century) and there are interesting castles and museums also well worth a visit. Among the wide range of activities on offer there are various adventure courses such as scrambler bike courses, summer luges, accrobranche, etc. The beautiful "Massif Cantalien" can be discovered in all its glory while hiking, horseback riding or mountain biking excursions (tracks are especially designed for this). Aquatic sports are also popular, thanks to numerous lakes. 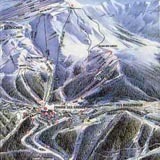 The more classical activities such as mountaineering, canoeing and fishing are also availble. Free flight is a popular activity and base jumpers frequent the sector around the Puy Mary and the Brezon valley. 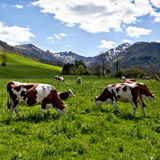 The Cantal is also known for its cheeses. The farmers here practice mountain pasture, with the herd passing their summers high up in the mountains. The milk is traditionally used to produce Appellation d'Origine Contrôlée (AOC) cheese such as Cantal, Salers cheese and Bleu d'Auvergne. 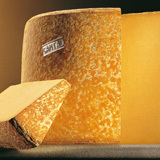 Cantal is the only French departement to be home to no fewer than five Appellation d'Origine Contrôlée cheeses.